Throughout the 2010 race calendar, Lance and Team RadioShack will be riding for LIVESTRONG by featuring the names of individual cancer survivors on their bikes. The customized Unity “I Ride For” stickers, bottles, and posters are a show of strength, designed to raise awareness of the personal nature of battling cancer. 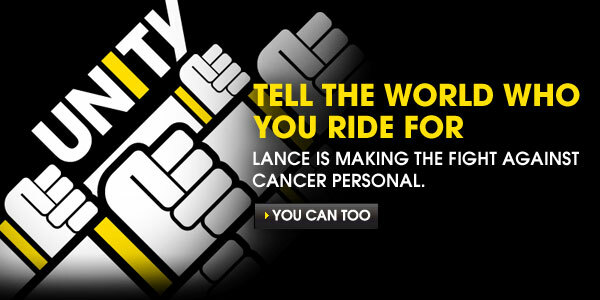 Join us by telling the world who you ride for as we continue the fight against cancer. You can ride with your survivor’s name by customizing the same “I Ride For” stickers that appear on Lance’s and the Team’s bikes. All proceeds go directly to LIVESTRONG as they fight to create a cancer-free world. The League of American Bicyclists has declared May National Bike Month, and Trek is excited to extend the Go By Bike Challenge to everyone. 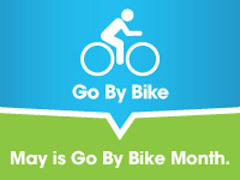 Simply pledge online to Go By Bike whenever possible; to the store, to school, to work, or any trip two miles or less. Going By Bike not only decreases traffic congestion and pollution, but it’s also a healthy alternative to motorized transportation. This May, pledge to Go By Bike! ECO Design bikes, components and accessories from Trek and Bontrager use recycled materials and green manufacturing processes for a cleaner, greener world. We’ve given our Interchange Grocery Bag an earth-friendly twist by changing the materials to include discarded event banners and rubber gathered through our tube recycling program. ECO Design construction reduces the amount of cycling-related garbage that hits landfills. 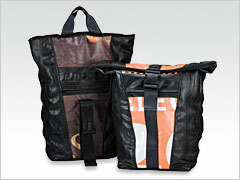 ECO Design products from Trek and Bontrager use recycled materials for a cleaner, greener world. For the challenge, for the fun of it, and for you! This summer, the Trek Women Triathlon Series is traveling the nation inspiring women of all ages and abilities to experience a triathlon first hand. Join Hall of Fame triathlete and Trek Women Triathlon Series Spokeswoman Sally Edwards at the Trek Women Triathlon near you. Join women of all ages and abilities at the Trek Women Triathlon Series. 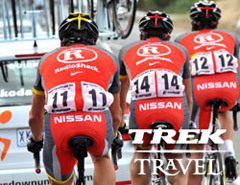 As the official tour operator of Team RadioShack, Trek Travel offers cycling fans unrivaled behind-the-scenes access to the world’s best cycling races. Join us to see the Shack compete at the Tour of California in May. And due to overwhelming demand, we have opened up more trips to the Tour de France in July! This summer, Lance and Team Shack are ready to race. Your local Trek Dealer has answers. Visit the Authorized Trek Dealer in your area for expert advice, friendly service, and quality products. Copyright ©2010 Trek Bicycle Corporation. All Rights Reserved. This email was sent to: Email Gallery.